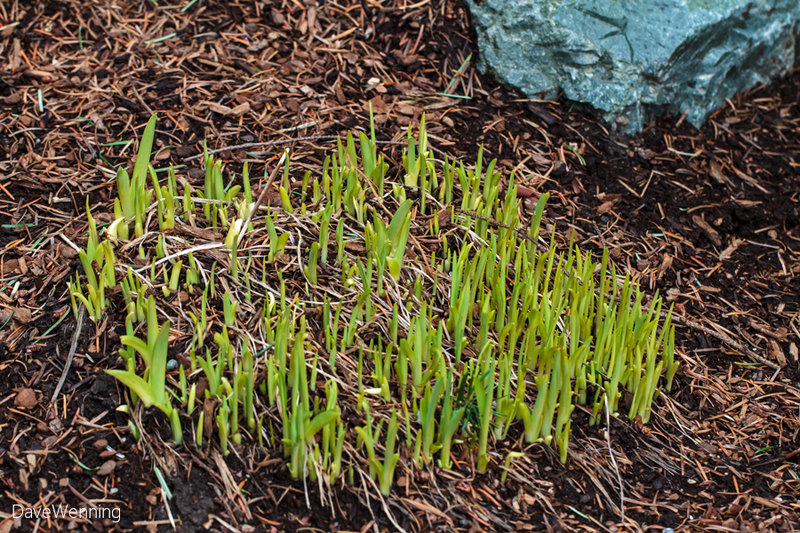 The Day Lilies are coming up right now. They are one of the few perennial flowers which will do well in my poor soil, as long as we get enough rain. Last year there wasn't enough and I didn't get much bloom. I had a visitor stop by to check out the garden and say hello. There was also a gang of ravens in the yard but they stayed out of sight in the canopy of the big firs. Their low woodwind tones were nice to listen to. This is Hellebore blooming time, but it hasn't been easy for them. Believe it or not, we have had some drought over the winter, along with sub-freezing temperatures. Their older leaves have wilted and become brown and dry. 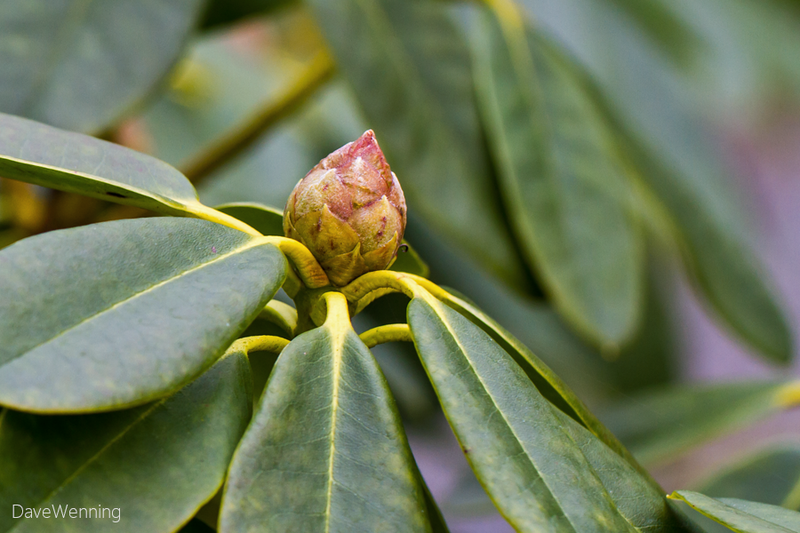 Rhododendron 'Hotei' is another choice variety, but it is a difficult bloomer. 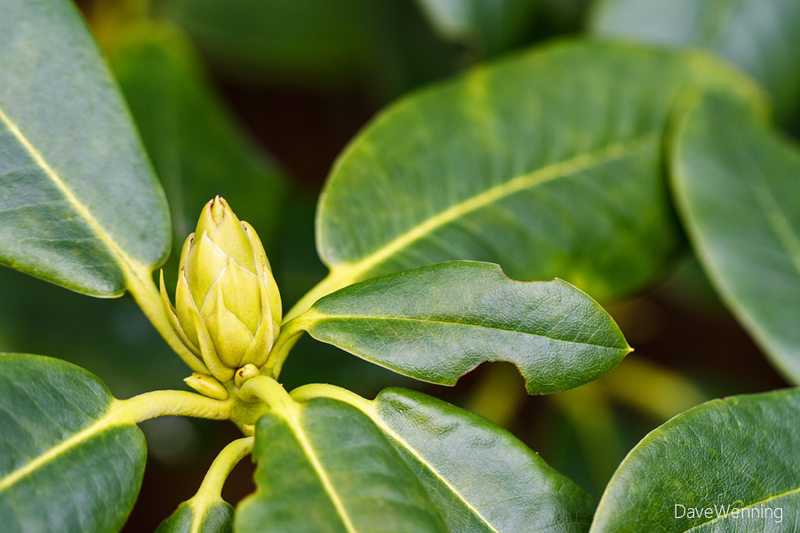 This looks like the one and only blossom bud on the entire shrub. I am hoping some fertilizer and a little iron supplement will rectify that for next year. 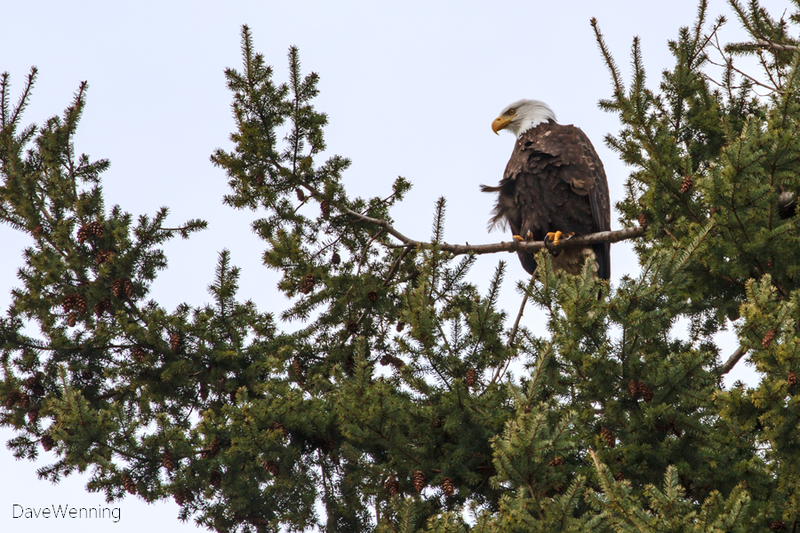 I heard some shrill calls coming from the beach and decided to check it out. 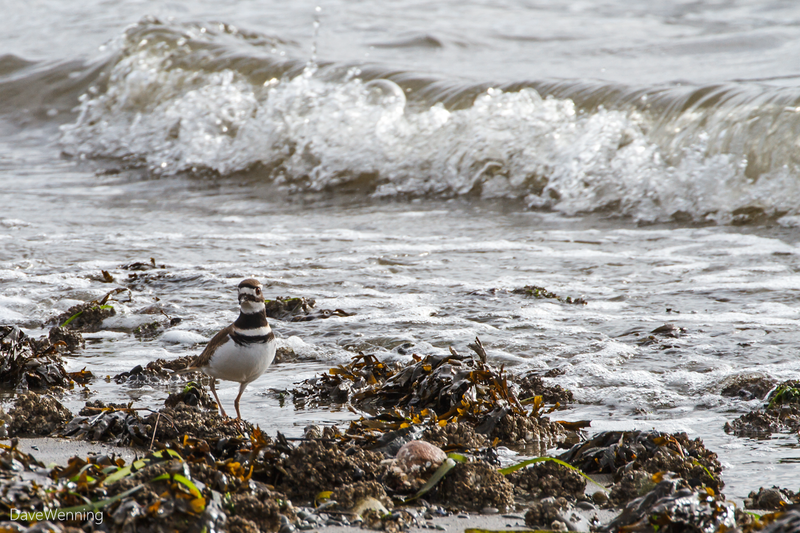 I wonder if this is the same Killdeer (Charadrius vociferus) that nested on my beach last summer. This one was not eager to give up the spot to me. Four steps and a head bob. Four steps and a head bob. Is that courtship behavior? If they weren't such noisy little guys, we would never see them. 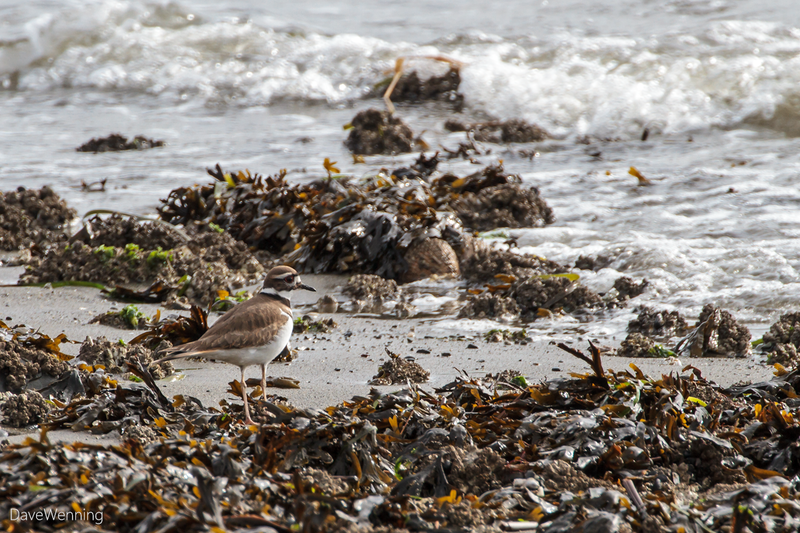 Their camouflage is perfect for our rocky shores. I gave up waiting for the wind to die down. While I was writing this, it got even windier, peaking at 33 mph (53 kph). As we get into evening, it might approach 50 mph (80 kph). The barometric pressure continues to fall. 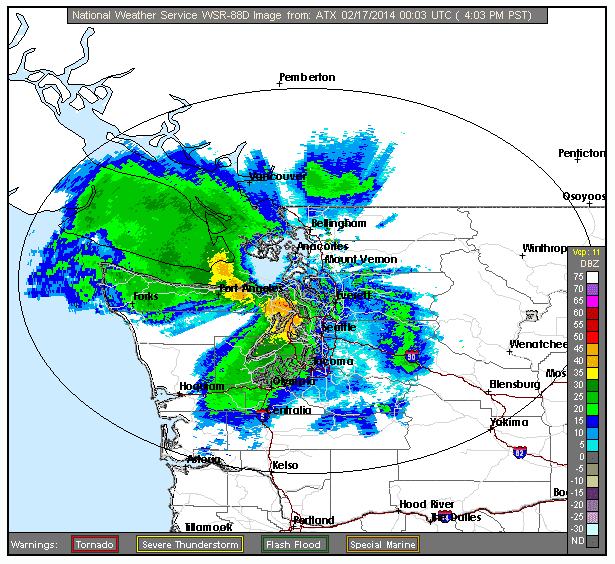 The radar image reveals that our Olympic Rain Shadow is holding for now, but that may not last. This phenomenon is the reason our rainfall is about half of what Seattle receives. When it comes to gardening, this is a mixed blessing. Sweet post and great pics as usual. What a spot you live at! 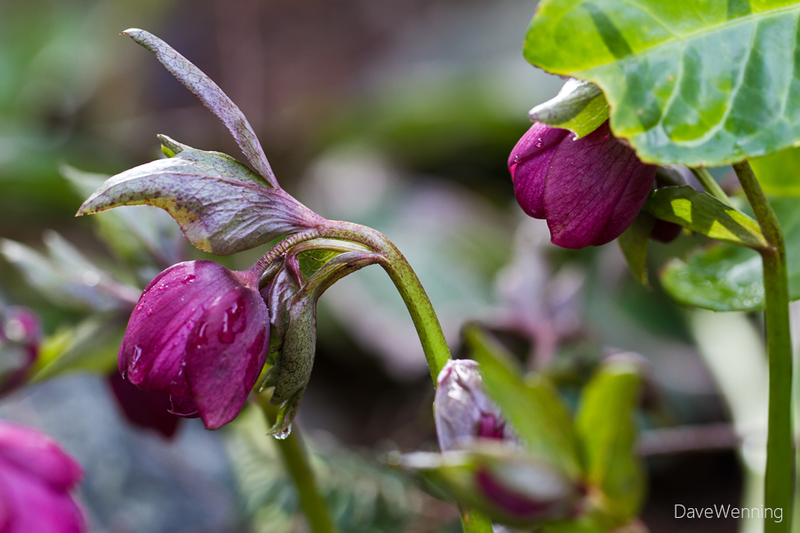 Hellebores are my early spring favorite.